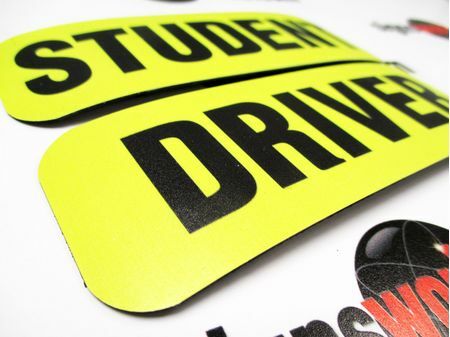 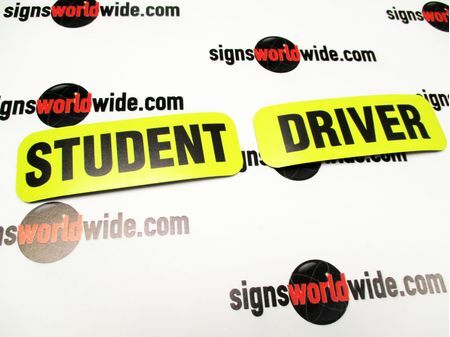 CODE: Magnetic Student Driver 2" x 6"
Two 2"h x 6"w flexible magnetics - one says "Student" and the other says "Driver." 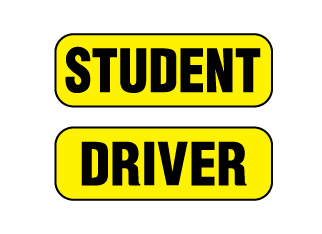 The text measures 1.2"h.
Choose between non-reflective and engineer grade reflective options. 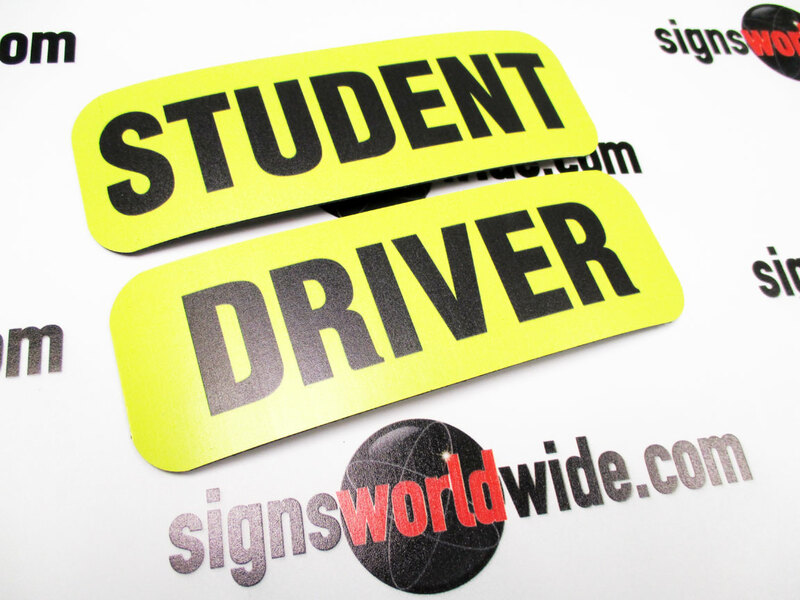 The reflective option will include a clear over-laminate. 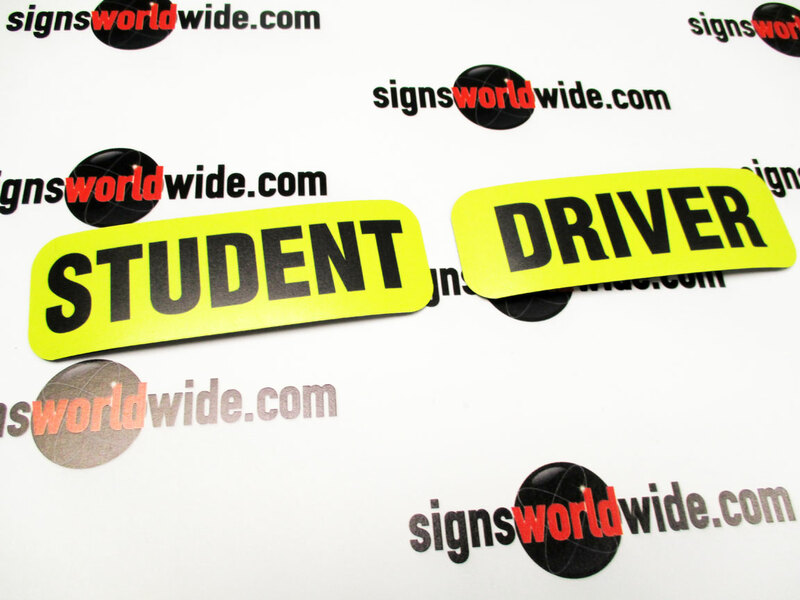 The magnetic features rounded corners to help keep them flat on your vehicle. 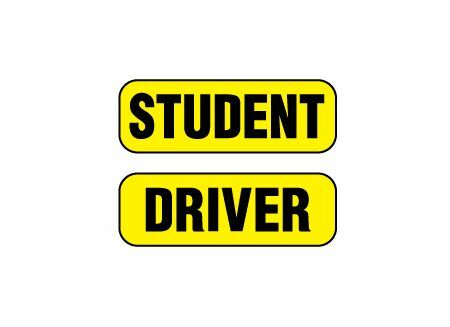 Type "student driver" in the "search products" area to see similar products available.